A cheeky parrot has done an incredible imitation of the talented singer in Eminem’s hit The Monster and it sounds exactly like the superstar. 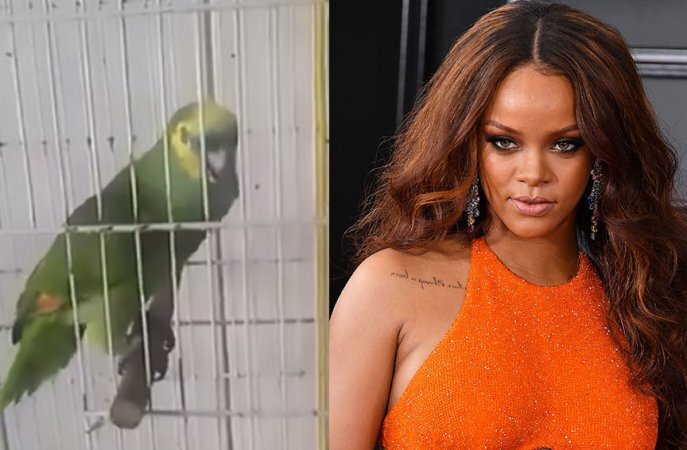 A video of the un-named parrot singing an impression of Rihanna is currently sending the internet into overdrive. Originally posted in March 2016, the clip has now resurfaced and shows an extremely talented parrot singing Rihanna's part in her hit Eminem collaboration 'The Monster'. The video has been viewed over 730,000 times with many saying the colourful parrot nearly upstages the star herself. In the comical video, the parrot can be heard perfectly singing the lyrics: “I'm friends with the monster that's under my bed. “Get along with the voices inside of my head. Honestly, shut your eyes and listen - you might genuinely mistake the bird for Rihanna.